When I graduated from college, I had $35,600 of student loan debt hanging around my neck. A mix of federal and private loans, my weighted-average interest rate was 6.5%. Then I learned that I could refinance my loans with a private lender (not the federal government) and lower my interest rate to below 3%. I couldn’t believe it! Why hadn’t anybody told me about this before? By refinancing my loans with a private lender (not the federal government), I reduced my payments by over $200/month and saved over $10,000 in interest over the life of my loan! And here’s the best part: it’s 100% free. That’s right. No fees at all. Unlike refinancing a mortgage — which typically comes with thousands of dollars of closing costs — there are no costs or fees whatsoever involved with refinancing your student loans. Your new lender simply pays off your old lender and issues you a new loan at a lower interest rate, and you save thousands of dollars. Boom. ? I used an online student loan refinancing company to refinance my loans with a private lender (not the federal government). Because online lenders don’t have as much overhead as traditional brick-and-mortar banks, they are typically able give the lowest rates. But I’m not going to tell you which lender I used. Why not? Because the lender that gave me the lowest rate won’t necessarily be the one that gives you the lowest rate, and rather than rushing you to the lender I used, I want you to go with the lender who will give you the lowest rate. Some lenders give better rates on grad school, others on undergrad, some care a lot about credit score, some don’t, etc. 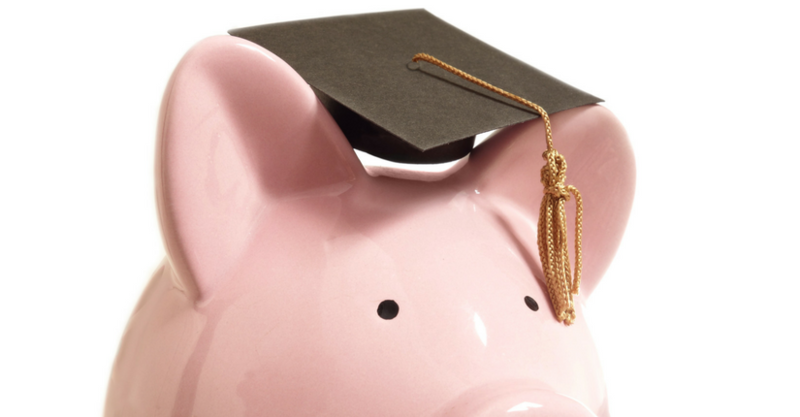 You need to shop around at different student loan refinancing companies to see which one will give you the best rate. I recommend LendEDU to do this because they have partnered with the top student loan refinancing companies — including SoFi, Earnest, College Ave, Citizens Bank, LendKey, CommonBond, and more — to make sure that you are going with the lender who will give you the lowest interest rate. LendEDU’s service only takes about 2 minutes, it does not impact your credit score, and it is 100% free if you click here. See, I shopped around like crazy for the best interest rate on my student loan refinance. I think I submitted five different refinancing applications to five different companies! And while I was able to select the one that gave me the best rate, this process 1) took a lot of time and 2) hurt my credit score since so many companies were running a credit check on me in such a short period of time. But you don’t have to do that anymore. LendEDU will “shop around” for you, for free, so that you don’t have to submit multiple applications. And it won’t affect your credit score. All you have to do is answer a few questions that should take you all of 2 minutes to get quotes from several different lenders, including the most respected names in the student loan refinancing industry such as SoFi, Earnest, Lendkey, and more. You can either click on the blue button below or right here to be taken to their site so you can get started. Again, this process is 100% free and does not impact your credit score. Good luck! We’re all in this together.